As Founder and CEO of Adaptability Canada, Jeff Wilson is at the forefront of inclusive design thinking in Ontario and Canada. 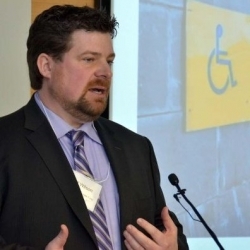 With Adaptability Canada, Mr. Wilson integrates his personal and business passions to champion and service the needs of Canada’s seniors and individuals with disabilities to improve their quality of life. Driving this passion is Mr. Wilson’s commitment to his son Gavin who was diagnosed with Aspergers in 2008. Mr. Wilson created Adaptability Canada to improve the built environment for Canadians at home, at work and in the community. Within a few short years, Mr. Wilson has attracted a number of large national and provincial clients from both the public, non-profit and private sector including Oxford Properties, IKO Industries, Dream REIT, the Ontario Restaurant, Hotel, Motel Association (ORHMA) and the Ontario Municipal Social Services Association (OMSSA). Mr. Wilson is a frequent contributor to business and industry publications as well as being a widely respected pundit and speaker on: demographics, disability markets and trends, housing trends and innovations, the future of accessibility, influence theory, universal design and customer experience design. Prior to Adaptability Canada, Mr. Wilson spent over fifteen successful years working with many leading global B2B and B2C enterprises to significantly improve their customer experience and how they attract, engage and retain customers. His business experience includes customer experience and universal design, strategic consulting and creating and managing global marketing programs for his clients, as well as founding and managing numerous entrepreneurial enterprises. 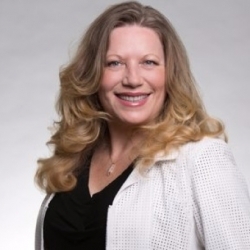 With more than 25 years of sales and project management experience, Deidre brings a broad range of project and client management experience to Adaptability Canada. As a senior team member, Deidre is involved in all aspects of the management of the company with a focus on client delivery. Deidre is a highly effective communications and project management expert recruited as part of Adaptability Canada’s commitment to delivery excellence. Deidre is leading Adaptability Canada’s formation of the Inclusive Work and Supply Council, a non-profit committed to helping disabled-owned and Veteran-owned businesses be recognized officially as diverse suppliers. Prior to joining Adaptability Canada, Deidre held senior management positions at several of Canada’s large security firms leading client teams to successfully grow business year over year while driving higher levels of customer satisfaction in all service contracts. Sarah White is the Director of Client Education and Inclusion Strategies for Adaptability Canada. Her role includes the development of effective education solutions for clients and consulting on inclusion related topics including the AODA and Manitobans with Disabilities Act. As a subject matter expert, she has provided information and insight on accessibility for various media, associations, and business groups. The Human Rights Legal Support Centre has acknowledged Sarah White as an expert witness to testify on matters concerning accessibility before the Human Rights Tribunal of Ontario. Sarah authored articles in "Municipal World" magazine, “Condo Living” and “Legal Aid Newsletter”. 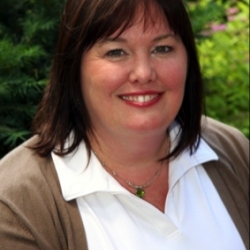 She has been a guest speaker for the Ontario Hospital Association's Accessibility Conference in 2008, 2009 and 2010, Business Advisory Council of Durham, Conservation Ontario, Chambers of Commerce, National Quality Institute, Durham College, Boards of Trade and others. Sarah has been a guest speaker at various forums and workshops organized by the Accessibility Directorate of Ontario. Sarah also specializes in mental health regarding the Psychological Health and Safety in the Workplace Standard and in Mental Health First Aid, of which she is an instructor. Sarah holds a Bachelor of Social Science, and a Diploma in Adult Education, a diploma in Mental Health Studies, is an ISO Lead Auditor, a MHFA Instructor and a Certified Municipal Manager. She also won the AODA 10th Anniversary Champion Award in 2015.